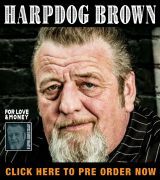 There are plenty of people in the blues community that have a hard time accepting younger players as legitimate blues musicians. The argument goes that the youngster hasn’t had to deal with life on its own terms, hasn’t loved & lost, hasn’t suffered enough to really feel the music. There is no doubt that many of those listeners would be put off by a teen-aged guitarist and singer being referred to as “Lil’ B.B. King” and “East Montgomery” (in tribute to the legendary jazz artist Wes Montgomery). If they take the time to listen, virtually everyone of the naysayers will be quickly won over by the pervasive talents of King Solomon Hicks. Now twenty-one years of age, Hicks has four recordings under his name. 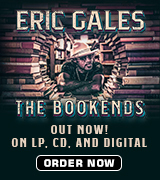 The latest features a live show recorded at the Iridium Club in New York, available at his live performances. The previous release, Carrying On The Torch Of The Blues, was a mixture of originals with several exciting covers including the Otis Rush tune, “Homework,” with Southside Johnny on harmonica. Also featured is a memorable rendition of “I Saw Her Standing There”. 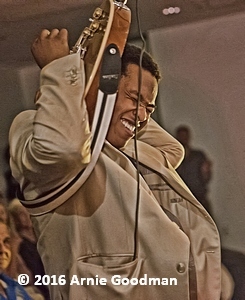 After a rocking intro, Hicks turns the Beatles hit into a smoldering slow blues with his biting guitar tone offering a contrast to his warm vocal. 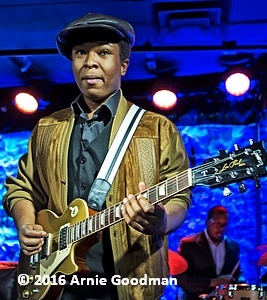 Another highlight for Hicks are his multiple appearances at the legendary Apollo Theater. “I have done several of their Christmas shows and been a part of their Amateur Night Super Top Dog competition. I also appeared live on the West Coast in California for Live at the Apollo. The first time was very scary and quite intense. You have to wait in a long line. You get there at 1 am and by the time 6 am rolls around, the line is wrapped around two blocks. You can barely see into the audience. They don’t allow you to boo the kids. If you are older than eighteen, they clap if you are good. If you aren’t, they boo you off the stage and the Sandman comes. There is no other experience like that in New York”. After going through the usual array of guitars, Hicks finally settled on a Benedetto guitar, a brand well-known in the jazz community. 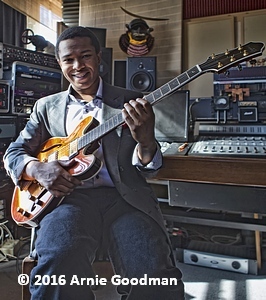 He uses a GA-35, which gives him an unbelievable tone plus allows him to do whatever he needs to for blues or jazz. The company thought enough of his abilities to give Hicks an endorsement contract. The guitar is fitted with La Bella strings that are molecularly modified to be longer-lasting. After an array of Vox and Fender amplifiers, Hicks is currently using a Fender Hot Rod Deluxe for his tube amp, “because once you go tubes, you can’t go back!”. He also has a Roland Cube 80, “ …great for taking around the city on the train, an amp that works rain or shine, even if you drop it or somebody spills a beer on it”. Preferring to play with a rhythm guitarist or an organ player backed by a bass and drums, the demands of being a band leader are another element that Hicks has to deal with. Experience has taught him not to put all of his eggs in one basket. He maintains a deep list of qualified players that can wrap their head around his music. The sound of the Hammond B3 organ really moves him, especially when the player can make full use of the organ pedals. It gives the band a unique sound and fills up plenty of space. Rehearsals are a must so that the original material is played to the best of everyone’s abilities. Right from the start, Hicks knew he needed a catchy stage name. At one of the first jazz clubs he played at, someone suggested the Prince Solomon title, but another voice chimed in, stating that Hicks was a king, not a prince. It was meant as a joke but the title stuck. “Solomon Burke was known as King Solomon, so I added the Hicks to personalize it. I stuck with the name because it is big shoes to fill. Some listeners say it is obnoxious. I don’t do use it for bragging rights or as a gimmick. People actually call me that”. As a member of the millennial generation, Hicks is well-versed in all things related to social media outlets. He uses YouTube, Facebook, Instagram, Twitter, and other platforms to keep his name in front of his fans. “It can make a big difference if you really use it. Once in awhile someone will post a video of you messing up on stage, which isn’t ideal. I am working on a new video that will highlight some new music. During our tour recently in Spain, I made an announcement at the end of shows that fans could find me on social media at King Solomon Hicks. When I got back to the hotel, I’d post a picture from the show, asking people that were there to comment. Within an hour, I would get multiple responses with comments about how much they enjoyed the show, asking when would we be back. I couldn’t believe people were actually listening to my announcement. But I made those connections”.